I’ve been diving on – and inside – shipwrecks for more than two decades, on 4 continents. 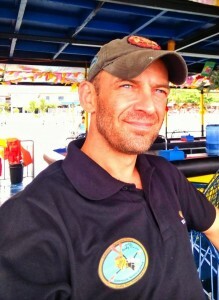 I specialize in teaching the highest level wreck diving courses as my full-time job. 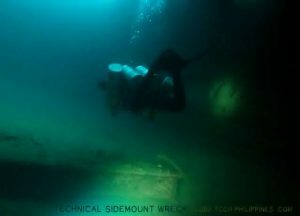 I will happily state that my attitude towards wreck penetration has become increasingly more conservative and risk-averse as I gained progressively more experience; and as my wreck penetration dives became increasingly more extreme. 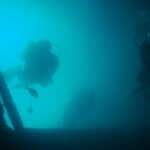 I’ve lost friends through wreck diving and I’ve had near-misses of my own that taught me valuable lessons. 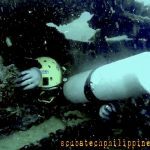 When I look at the scuba industry, and the community of divers who venture inside shipwrecks, I see a lot of practices that I personally disprove of. 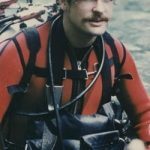 I notice a vast disparity in the attitudes and standards of wreck divers compared to cave divers; even though both communities of divers conduct activities of very relative and equal risk. I am guilty of the same, in the past. 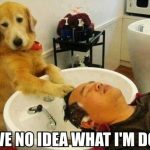 Experience has taught me otherwise. Here are my top 10 tips for getting on the right track to safer wreck penetration diving, at whichever level you may be diving. Get properly trained, not just certified. A plastic card in your wallet won’t help you when things go wrong inside a wreck. What matters is that you possess reliable, ingrained skills and protocols to deal with any foreseeable incident on a wreck penetration. Effective training should ensure that you can survive the worst-case wreck scenarios, those include; zero-visibility, entanglements, losing a team member or becoming lost from the exit or guideline yourself. 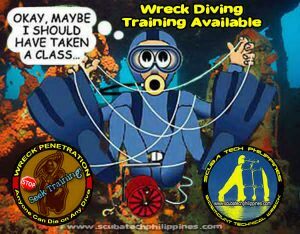 Wreck penetration is a very specialist activity, so seek training from an instructor who has genuine, specific expertise; preferably one who is qualified and experienced far beyond the level of training you seek from them. Proper wreck penetration training should be immensely challenging. If it isn’t, then you’ve been short-changed on your course. 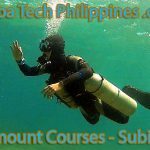 Perfect your foundational scuba skills first. 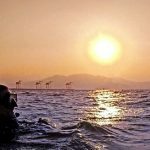 Your buoyancy, trim, control, propulsion, situational awareness and team/buddy skills should be exemplary before adding complex and demanding new wreck penetration skills to your repertoire. Weak foundational skills can cause very real emergencies inside a shipwreck, for instance; silt-outs, collisions/collapsed structure or entanglements. These skills should be reliable; i.e. you can perform them consistently without lapses, even if distracted by other events or tasks. They should also be ingrained; i.e. they don’t require any specific mental focus or add to your task loading. When it comes to wreck training, at any level, a good wreck instructor will encourage you to consult them prior to training, so that you have time to practice and prepare your foundational skills to an appropriate level before training commences. This ensures your training progresses your capabilities, rather than simply remediating your deficits. An ethical instructor will assess your foundational skills before training starts; recognizing that necessary skills, not certification cards, are the true prerequisites to start a course. Don’t stress your task loading. Wreck penetration demands a lot more from a diver’s performance. 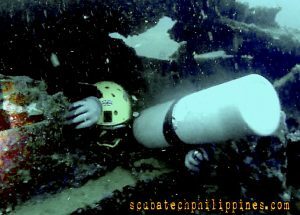 Even an uneventful wreck penetration dive causes significantly more task loading on the diver. If you find that your task loading is being stretched on a dive, then acknowledge and respect that you’re exceeding your personal limits. If the performance of routine wreck penetration skills and/or foundational scuba skills are causing you any stress; then consider how you’d cope if your dive suddenly became ‘eventful’ and an emergency occurred. Assess your personal competency based on your level of task loading and/or stress under the worst-case scenarios. Effective training will introduce you to those scenarios. It’s far too easy to get tempted into diving beyond your comfort zones. 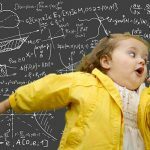 Peer pressure, ego…and over-easy ‘attendance’ training courses can all lead you into dangerously over-estimating your abilities. Make an honest effort to assess your competencies relative to the complexity and challenge inherent in the dives you might undertake. Don’t become lulled into deceiving yourself about your capabilities simply because you undertook dives where nothing went wrong. You are only as good as your worst dive. 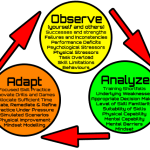 Critically self-analyze your performance after every dive; acknowledge your skill deficiencies, accept your mistakes. Make some time to sit down as a team post-dive and apply constructively critique individuals and team performance. Use these insights to identify how you need to improve; and where to set appropriate limits on the demands of your wreck penetrations. Complacency is a creeping menace and can occur with divers of any level. It’s often an identified factor in diving accidents; where those involved have failed to effectively apply the training they’d received. No matter how good the training you receive, it becomes irrelevant if you don’t apply what you learned diligently, without exception or excuse, on every dive post-qualification. Complacency can often occur when there is an imbalance between a diver’s training and experience. Too much of one aspect and a deficit of the other can lead to over-confidence and dangerous diving. Complacency also arises from over-estimating competence based on only experiencing wreck penetration dives where nothing goes awry. Your relative wreck diving ability is defined by how well you can deal with the worst that can happen, not by successfully conducting lucky ‘nothing went wrong’ dives. We’re ALL great divers if nothing arises to test us. How good are you really… when Mr Murphy joins your dive and slaps you around? 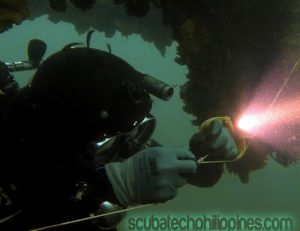 Wreck penetration is a very specialist pursuit, and it demands specialist equipment and procedures. It’s essential to intelligently equip yourself for wreck penetration. 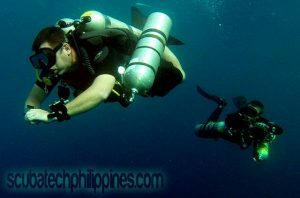 Research what is optimal for the diving you wish to undertake. Heed advice on equipment approaches – much of that advice originates from tragic lessons learned. Continually review, revise and replace your equipment if it isn’t optimal. Understand and apply the principle of critical redundancy. At the same time, keep things as simple and minimalistic as possible… less is more. Clutter causes stress and task-loading. 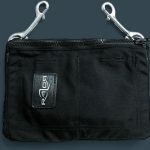 Store and rig your equipment effectively. If something causes you stress or increased task loading on a dive; then identify whether you have an equipment or skills related issue. If it’s an equipment related issue, then find a better equipment alternative. If it’s a skill-based issue, then throttle back your diving until you’ve resolved it. 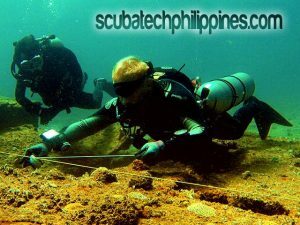 Once you have the right equipment, check and prepare it diligently before every dive. Be meticulous. If something isn’t right – fix it. Don’t make compromises when equipment-related problems arise. 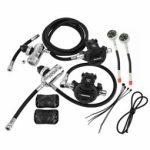 Your safety is reliant on your equipment during wreck penetration dives, so be obsessive to thoroughly test that equipment before you get in the water. 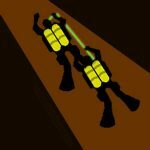 Wreck penetration diving goes beyond a simple application of the buddy system. Safety in the overhead environment is reliant upon an integration and coordination of all participating divers to achieve predetermined goals in an efficient manner. Team diving is an identifiable skill. It is an approach that needs to be understood, practised and developed. It starts with the initial dive planning and ends in post-dive critique. Team diving competency needs to be cemented before penetration diving starts. Weak communication, misunderstandings, differing protocols or unexpected actions are hazardous to safety inside wrecks. The team, as a whole, should understand the strengths and weaknesses of every individual member; and these should dictate the limitations of the overall team. 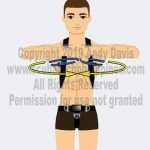 A good diving team can be much stronger than the individual strengths of the individuals that comprise it, but the team should accept it is only as strong as it’s weakest link. There are a lot of skill elements necessary for safe and effective wreck penetration diving; foundational scuba skills, penetration specific skills, contingency/emergency skills, team diving skills and mission-specific skills. All of these require diligent continual practice if they are to become reliable and ingrained. New skills, or skills that haven’t been utilized for some time, need to be confirmed through a rehearsal before they are relied upon. 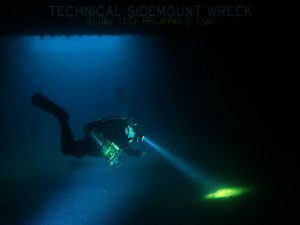 The wreck diving team should rehearse skills in dry-runs or on open-water dives before entering the unforgiving overhead environment of a wreck. 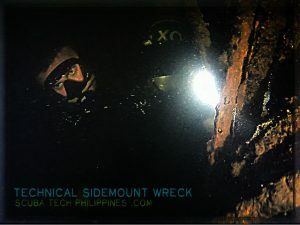 Wreck penetration divers must be able to consistently apply all necessary skills under low/zero-visibility, in confined areas or awkward body positions. Understand and mitigate all the risks. 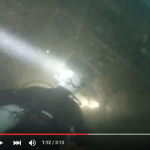 A safe wreck diver engineers their own luck. Proper training, reliable and ingrained skill-set, appropriate equipment, effective practice, accurate self-assessment and the application of appropriate protocols and procedures allow wreck penetration divers to reasonably nullify the increased risks that they expose themselves to. 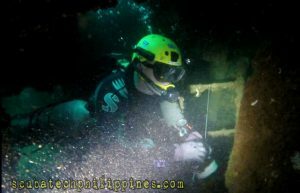 For this to happen, the diver must first intimately understand the nature of the risks they will be subjected to inside a shipwreck. Then they must be able to gauge the severity of individual risks on any given penetration dive. Effective risk management starts with knowledge and understanding. 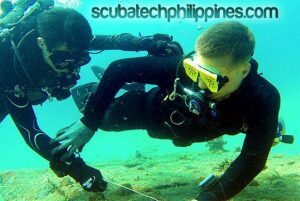 Proper education, from an expert, ensures that a diver “doesn’t know what they don’t know”. If you don’t emerge from a wreck diving course more cautious, or even slightly scared, then you’ve not been trained effectively. Wreck penetration shouldn’t be an ‘adrenaline activity’. Anyone can ‘get away with it’ based on luck for a while. Sooner or later luck always runs out. There’s no excuse for treating wreck diving like a gamble, because, quite simply, it doesn’t need to be. Self-discipline is an important attribute in any advanced diving activity but becomes especially important when entering the wreck overhead environment. Wreck penetration is particularly unforgiving of mistakes; the consequence of errors can sometimes be fatal. Discipline is important when planning wreck dives and sticking to that plan when setting and respecting your own personal limits when deciding whether to abort a dive, when tempted to take short-cuts or be swayed by complacency. Shipwrecks insidiously tempt divers to over-reach their abilities or err against their better judgment. Self-discipline is what keeps you safe when the siren-call of a wreck would otherwise lead you into jeopardy. For more information about beginner to advanced wreck diving training with Andy Davis, please contact directly, or view his wreck diving course outlines.